Adnan Januzaj of Manchester United could be a loan signing for Sunderland. 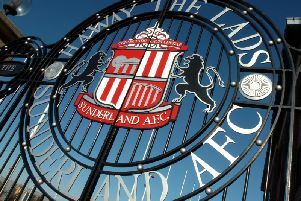 Sunderland manager David Moyes has already started identifying possible transfer targets as he strengthens his squad ahead of the new Premier League season. Right-back, centre-back and another striker are his priorities as he looks to bolster the Black Cats ranks. A 5million bid would activate the release clause in the contract of Aston Villa captain Micah Richards. Here's seven players the former Everton and Manchester United boss could try to bring on board before deadline day. Micah Richards: The Aston Villa captain, who started his career at Manchester City, could be a priority signing, as he can play at either right-back or centre-back. He has 13 caps for England, and while he should be at his peak at 28, his career seems to be on a downward spiral after he was relegated with Villa last season. Sunderland were interested in signing him in January and could revive their interest, with £5 million the price required to trigger his exit. Yann M'Vila is a player David Moyes tried to sign while at Everton. Will Keane: The Manchester United forward has today been linked with Sunderland, and the bonus is that he's a player Moyes already knows. He has been at Old Trafford since the age of 11, and has had loan spells at Wigan Athletic, Queens Park Rangers, Sheffield Wednesday and Preston North End, but has only made two first-team appearances for United. At 23, the time is probably right for him to move on, and the chance of a move to the Stadium of Light might appeal as he tries to kick-start a career which has seen him represent England at five different levels. Adnan Janujaz: The 21-year-old is another Manchester United player who Moyes knows from his brief spell at Old Trafford, he might welcome s a loan move as a way of reviving his career. Signed by Sir Alex Ferguson as a 16-year-old from Anderlecht in his native Belgium, he was hailed as a star of the future when he joined United in 2012. A winger or attacking midfielder, he came close to joining Sunderland on loan last summer, but made only seven appearances last season, and might welcome a spell away from the glare of publicity which has followed new boss Jose Mouinho to United. Yann M'Vila: Needs no introduction to Sunderland, fans, as he was one of the key men as Sam Allardyce kept the Black Cats in the Premier league last season. He made 37 appearances after joining on a season-long loan from Russian club Ruben Kazan, and has made no secret of his desire to make to the move to the Stadium of Light permanent. The Black Cats pursuit of the defensive midfielder has stalled in recent weeks, with Kazan demanding a hefty transfer fee, despite only six months remaining on his contract, but |Moyes tried to sign him for Everton, and could be keen to splash out. Tony Hibbert: The 35-year-old is a free agent after being released by Moyes' former club Everton in the summer. A solid right back, he spent his entire career with Toffees, and made over 300 appearances for the club. His down-to-earth demeanour earned him cult figure status among Everton fans - and the fact he wouldn't command a transfer fee might make an ideal signing for cash-strapped Sunderland. Leon Osman: Another player Moyes knows well from Goodison Park, Osman, also 35, is also available for nothing after being released this summer. Having been a regular in the Everton side for more than a decade, he fell out of favour last season, and only made nine Premier League appearances. A Championship centre-half: Moyes loves shopping in the Championship, having unearthed the likes of Tim Cahill and Phil Jagielka from there. Sunderland need a centre-back who they can develop while providing cover for the three already at the club. Players he could consider might include Tom Lees of Sheffield Wednesday, Lewis Dunk or Brighton & Hove Albion, and Aden Flint of Bristol City.